A journal of a family in transition from an American to a Canadian life. The girls first day of school was September 6th. I liked the way Labor day neatly separated summer vacation from the beginning of school. However, it also means school will continue through most of June. I’m not sure how I will feel about that. The routine is that Ingrid or I walk the girls to school in the morning. The school is very close and so we join the small groups of parents and children walking down the street in the morning hours. A crowd gathers behind the school where we mingle. It is a daily community event with coffee sipping parents surrounded by backpack and lunch box laden children. As a bonus the school is on a hill overlooking nearby Laurelwood Conservation Park. The Fall leaves have been beautiful during the recent sunny weather. Our new neighborhood is very diverse with people seemingly from everywhere. In the entrance to the school there is a large world map map with pins stuck in it to show where people are from. Colorful pins cover the map from edge to edge. The principal said that there are over seventy different nationalities represented in the school. We have met people from from China, Japan, Malaysia, India, Pakistan, Serbia and of course Canada. We have even met someone from Upper Sandusky which is from my general area of Ohio. By the way, her husband is Italian and their children were born in Great Britain. Z goes to school all day on Tuesdays, Thursdays, and every other Friday. She loves it of course and is quickly building her reputation with her enthusiasm, lovingness, and general strength of character. When we take walks in our neighborhood Z will sometimes see one of her classmates. Her typical response is to jump and pull us toward the unsuspecting family until she breaks away to give the kid a big hug. Their responses vary. Often they hug her back and I can see by their smile that they are loving it. Other times they are terrified and try to escape Z’s grasp as they run away. E is also enjoying herself and has proclaimed that she loves her teacher. She is in a class with both first and second graders. Because of her age E would have been placed in second grade meaning she would skip a level. However, we requested she be in first and they have allowed that. E is very serious when it comes to school. When I walk E to school all the students and parents mingle outside before the bell rings. Then, when it does ring, she stiffens up and puts on a serious face and walks single file with the other students into the school. E is getting to know a few kids but her style is more reserved and careful. Click here to learn more about the girls school. I will briefly summarize for you how it all happened...moving that is. Store Employee: I’m sorry, story policy won’t allow us to give out boxes. I have to say that folks were generally very helpful and accommodating. Even though they were often busy when I asked them for boxes they would stop what they were doing and find me some and wish me luck on our move. This was especially true the night before we were to move. As we tiredly packed I realized we were going to be about ten boxes short. Panicked, Ingrid and I set out around 9:30pm in search of more. There are many things we know now about boxes. We know that the best boxes are designed to carry fruit, eggs, and frozen chicken. We also know that the best time to procure boxes is when food is being stocked. But one of the most important things to know when collecting boxes is that they are generally crushed after five pm. Because of this my confidence of success was low as Ingrid and drove off in search of boxes. But I had an idea. I had worked with Gordon Food Service for fundraising before and I remembered they had a few large bins full of empty boxes for their customers. I visualized these boxes and hoped against hope that I could gain these storage devices to pack away the rest of our junk so we would not have a pile of loose items when our movers arrived in the morning. When I turned onto GFS’s street my heart jumped as I saw that the store was lit up. I drove into the parking lot and Ingrid and I jumped out of the van figuring the store would close in about fifteen minutes (it was 9:45pm by this time). Then we realized the awful truth as the store hours listed showed an 8pm closing time. Looking through the glass front doors I could see the pile of empty boxes by the registers. They were perfect...and so close...but unreachable! I imagine we looked pitiful in that moment. Two adults with their noses practically pressed against the store front glass looking longingly at boxes. Then I spotted a flash of red between one of the aisles. Early Thursday morning our movers arrived. It took about four hours for them to pile everything into the truck and off they went. We spent the next four hours cleaning our home for the next owner. Yes, we did sell the house, YEA! We looked over our empty home and reminisced about our eleven years. I couldn’t help but think of all the work we had put into the house. We had spent many days removing wall paper, painting, putting in floors, etc. There were so many great memories too. In this home we started our family and had so many firsts. But when it was empty I was reminded that it was just a house after all and we didn’t linger. Then we went to pick up our children from my sister’s house where I hugged and tearfully said goodbye to her as I had my other sister the week before. Then we went and slept at a friends house where we stayed up late. It is about 330 miles from our area of Ohio to Waterloo. It usually takes us about seven hours but this time it took us about an hour longer. It was a bit of a melancholy drive as my eldest daughter had a cry at the Michigan Visitors Center. We were mindful to be extra kind to each other recognizing we were all sad...except for Z..., our four year daughter. Z... had an excitement that picked us all up by brightening our spirits. She shouted enthusiastically, “We’re going to Canada!” to all who would listen. This included people behind counters, toll booth officers, and strangers at the rest stops. In the van she sang a song about making new friends. Her joyous spirit carried us north. I knew I was in Canada at our first rest stop past the border when the person in front of me ordered poutine (french fries smothered in gravy and cheese). We didn’t get to our destination until late in the evening where we were greeted enthusiastically by Oma and Opa. We chatted briefly and then went to bed exhausted. Knowing our earthly belongings were to arrive on Monday we spent the weekend cleaning our new home. For two days we scrubbed, vacuumed, washed, and swept our new abode. After two hours at customs (a whole other story) our stuff was cleared and the movers filled our new home with boxes. We spent much of the week unpacking boxes and making the home livable. Ingrid’s Aunt and Uncle came and helped us unpack and pull weeds one day. The phone company set up a working line but we were unable to find our phones after a thorough search. We borrow a phone from Ingrid’s parents and we are finally connected to the outside world. However, the weak battery only last for about eight minutes. In very brief conversations we update family and friends. For the first time we sleep in the new home and everything is strange. We are extra lenient with the girls as they push their waking hours well past their bedtime. The Northern Shift has occurred...it is now official. We comfort each other thinking of all the people and things that we miss. We remind each other that there is much to discover and that there are many new experiences ahead of us. Z... has her hand smashed in a door. We watch with concern as her hand doubles in size. Z... is obviously in pain but she is also amused by the alarming inflation of her hand. Our first experience with Canadian Healthcare is mixed. We wait four hours for someone to see her at urgent care. When they finally do see her they take three x-rays and inform us that no bones have been broken. Then they tell us we must pay for the x-rays immediately and seek compensation later. They tell us this apologetically but we are quick to agree. The bill for the x-rays is $23. The paucity of the bill almost makes up for the length of the wait. Our first guests from Ohio arrive. 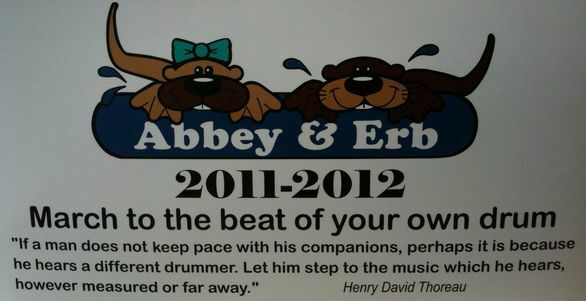 D and B and their two children are a godsend. For two days we forget the business of the previous week and we have fun. The kids all have places to sleep but we don’t have a spare bedroom for D and B. They happily sleep on a mattress on the floor in our unfinished basement. They seem to actually enjoy it. It’s almost like camping. In fact, the move does not seem real. It seems as though we are on vacation and will go back home in a few weeks. We continue to fine tune the unpacking. I bought new phones so we could have lengthy conversations with Ohio folks. I am helping Ingrid’s dad with some of his work. We buy a season pass to conservation areas and visit a few lakes and trails. The best trail we have found is connected to our neighborhood. It is lined with ripe blackberries and raspberries. We get lost in Kitchener Waterloo several times. We appreciate the novelty of living close enough to stores that we can walk to them. We walk to Dairy Queen. We visit Oma and Opa and the girls run around in the back yard. Their favorite thing to do is ride a green Jeep. The sale of our house is finalized. The return policy on the new phones expires. I find our old phones. Dark clouds quicken the darkening of the day and the girls are treated to popcorn and a movie. The rain comes with a lot of thunder and lightening so we allow the girls to stay up late. There is a big flash and the lights go out. It is completely black as the whole street is out. We use our reading lights to break the darkness. I go in the basement and dig through boxes for more flashlights batteries. I find them and go back upstairs where Ingrid and the girls are huddled on the floor. For the next hour (way past bedtime for the girls) we watch Max and Ruby on the battery powered laptop. Then we lay on the floor with our flashlights and make hand shadows. In the middle of the storm we are finding ways to have fun. Such is life. There are many things about the city Medina that I am going to miss. I love the square and all the neat things that happen there. 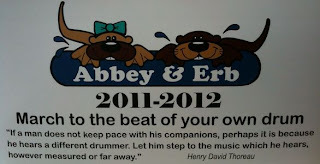 The band concerts, parades, farmers markets, and multiple festivals are all a part of my family’s regular experience. Having lived in Medina for over a decade there is much that I appreciate about this small town. However, I have to admit, I often didn’t know a lot about the local news and issues. For years I was completely oblivious to the political nuances and happenings of Medina because I did not subscribe to the local newspaper the Medina Gazette. Instead, I read my news on the internet. But then we began to receive receive The Post. The Post is a weekly “newspaper” that is delivered free of charge. It seems that about fifty percent of the articles are advertisements for local companies and restaurants. But the first several pages can be very interesting. Besides containing actual news about Medina there is an opinion section where readers can send in a letter to the editor and spout off about one of the local controversies. Sometimes they can be very feisty. I found myself reading about one controversy in particular that had people’s dander up. As read the letters I could tell that people were angry, seething even, perhaps foaming at the mouth as they wrote their letters to the paper. There was name calling and side taking and variety of unhappy words hurled. There was even a Facebook page for the supporting the inflatables. And then, for reasons I still don’t understand, I added to the pile of words myself with my very own letter to the editor. 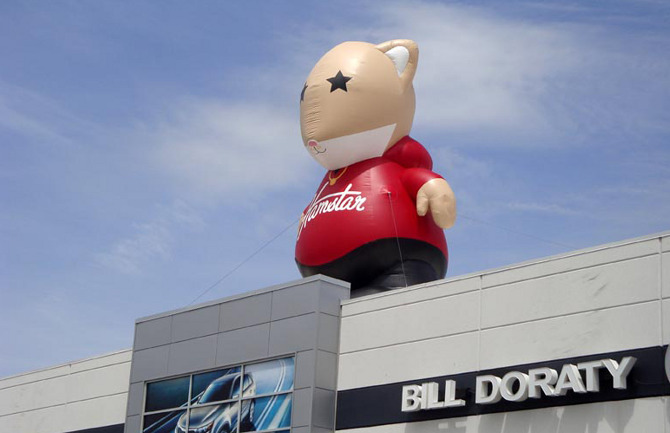 The controversy I’m referring to is the inflatable image atop Bill Doraty’s KIA dealership next to the northbound ramp for Highway 71 on Route 18. The photo above is of the Hampstar present at the time of my letter. The inflatables change every thirty days or so to reflect the season. Right now there is a big orange dinasaur on top of the building. For over a year there has been an ongoing battle between the owner of that dealership (Bill Doraty) and the Medina Township Council/Police. The Township has demanded Doraty remove the inflatable and has apparently cited the dealership many times for various violations. So far Doraty has refused to comply. The result has been an epic public struggle between Doraty and the township that has reached the federal court system. The most recent update indicated that a judge had ruled that KIA Doraty was in violation and must remove the inflatable. It’s still there. The letter is an example of what a smart alec I can be and made me famous for a week...not really. Looking at the letter again reminds me that I have grown to know this town and with that have gained a comfortable familiarity with it that makes Medina feel like my home. Soon, I’ll be in a town and I’ll be oblivious all over again. When we move to Waterloo one of the first things I’ll do is get a subscription to the local newspaper. As for my letter, I submit it to you in this space. Please don’t judge me. I was surprised to learn about the controversy of the inflatable images atop KIA Doraty’s main building along I-71 and 18. My family, especially my 5 and 3 year old daughters, enjoy the seasonally themed images and try to guess what the next one will be. I think it will be a football but my daughter is hoping for a pumpkin. Although this “eye sore” may detract from the ambiance of the setting offered by exit ramps, Dairy Queen, and On Tap, my family has been willing to put up with that knowing we can count on some entertaining quirkiness when we exit 71 to go home. However, I must express my disappointment with the current inflatable image of one of the “Hamstar’s” used to promote KIA Soul. I would have much preferred the sock monkey from the Sorento commercials. Even the orange single-eyed monster would have been better than the hampster. Mr. Doraty, please consider this in the future. Also, thank you for entertaining my family even while others may not appreciate it. I like to think of myself as someone who is not materialistic. I believe that the most important things in life are things that money can’t buy. Family, friends and the love that we share. That’s why when we decided to move I didn’t think transferring our stuff from Medina to Waterloo would be that big of a deal. Boy, was I wrong. Apparently, even though I think of myself as not being materialistic, I have accumulated a large amount of stuff over the years. Back in the drawer it would go. We had a variety of conversations like this involving bowls, clothes, toys...endless toys, papers, books, etc. etc. etc. We actually got rid of a bunch of stuff this way but soon realized that was slow, painful, and not the best way for married people (or anyone for that matter) to work together. So we did the sensible thing and did nothing for a while. Then we did the really sensible thing and asked one of our friends who is well organized to help us. As an aside here I would like to report that we had many options when seeking help. For some reason it seems that all of our friends have very organized lifestyles...at least more organized than ours. Our friend (I’ll refer to her as Nikki) that helped us has a home that is a marvel of organization. Whenever we go over to her house we are always impressed with the fact that it always looks like she just finished cleaning. One of my favorite things to do is open her version of a junk drawer which is always neatly organized. Inside there are a few pens, a pad of paper, a few up-to-date coupons, schedules all in the same place every time. I would compare this to our junk drawer but I was unable to open it. Nikki helped us a great deal by organizing how we categorized our stuff. Basically pack, sell, or give away. Since then we have been going through the process of deciding what possessions of ours will make the cut. Anything that does make the cut is packed into a box and stacked into one of our “designated areas” for later shipment to the Great North. In this process Ing and I have had many conversations about what is practical when considering what will come with us. Me: We don’t need that. (Holding up a JC Penny set of casserole dishes) It isn’t even open. Ing: I want to keep it. You never know when you need them. What I have learned in this process is that some of the most important things to us are absolutely worthless to anyone outside our immediate family. Things like kids drawings, photos, a book made by Ing when she was in elementary school, baptism shoes, and the like. None of it is worth what it will cost to move to Canada but it will come just the same. It’s a representation and a bookmark for our memories. We’ll put our life in a box, transport it over the border, and unpack it again in Canada. Last weeks blog prompted a question from an old college friend. Why are you moving to Canada? Of course this is a question we debated with a long time. I have lived in Ohio my entire life while Ing has been here for over half her life at this point. The easy answer is that we have decided to move in order to be close to Ing’s family in The Great North. However, I couldn’t help but consider the question in a different way. The fact is many people are trying to come to Canada. In fact, the papers I described filling out in the last entry are taking longer to process because of the unusual number of recent applicants. So it isn’t just me. There are a lot of folks who want to go to Canada. Why? I decided to do a little research. I typed in “Top Ten Reasons To Live In Canada” and read the many thoughts people have about Canada. Not so surprisingly there were many that wrote about beer and hockey. Still others were hyper political in nature and had an ax to grind. The Canadian writer Wendy Matheson produced a light hearted top ten list that includes snapshots of typical Canadian perspectives. For example, she makes the statement that getting sick won’t cause you to lose your house. She also notes that federal political campaigning lasts only a month. The list is on her blog. A few weeks ago Ing brought an article from The Street to my attention. It’s titled, “How Canada Beats the U.S.” In the article Canada is praised for its regulatory standards for financial institutions. Apparently they have some rules that we don’t. Subsequently they not only weathered the financial melt down of the past two years but are actually thriving. Oh boy. Finally, there is the Human Development Index (HDI) published by the United Nations every year. Newspaper headlines often declare the country with the highest HDI as the best place to live. The HDI measures four areas for every country in the world. Productivity: How well people are able to increase their productivity. Equity: A measure of people’s access to equal opportunities. Sustainablity: The ability for future generations to have the same opportunities as previous generations. Empowerment: A measure of people’s ability to fully participate in the decisions and processes that shape their lives. Anyway, Canada has beat the United States in the HDI for fifteen out of the last sixteen years. Apparently Norway is the best place to live and has been for several years now. The Scandinavian countries always seem to do well. There are a few things particular to the area we are moving to that I am looking forward to. Our home is going to be very close to Laurel Creek Reservation which includes a large lake and bike paths. Waterloo is serious about their bike paths. From where we will live we could bike all over the city and into numerous parks while staying on bike paths. In general there are a lot of natural areas that we will get to discover. There are many other things I look forward to such as the multiculturalism, ethnic foods, farmers markets, Tim Hortons, Oktoberfest, and eventually when I learn more about it...hockey. But as I said before we are moving to Canada to be closer to our Canadian family. I’m not dodging the draft, I’m not running from the law, and in fact, our life in Ohio has been pretty darn good. But of all the countries that we could be moving to in the world...I’m happy to go to Canada. It seems like a nice place. All moves require loads of paperwork. Moves from one country to another involves much more paperwork. 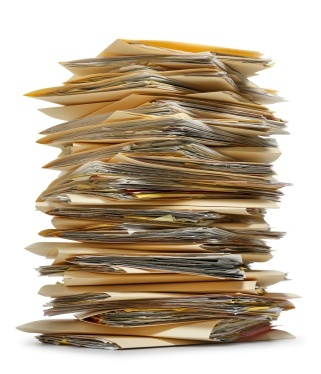 Moves from one country to another with a foreigner (me) and two adopted children requires an incalculable amount of paperwork approaching Biblical proportions. In attempting to explain to you exactly how much paperwork this is I’ll ask you to think about what it is like to do your taxes. If you are someone who does not do your own taxes then forget it about it, you will never understand. For you people who do your own taxes, imagine doing your taxes and four other peoples taxes. Now imagine doing four peoples taxes for the last eight years except you need to do it all at once. Now multiply that by three physicals, 100 notarized documents, processing fees, photos of yourself and children, that need to have exact dimensions but cannot be done by nearly anyone in the state of Ohio, more processing fees, phone calls, emails, certified letters, FedEx, Passports, birth certificates, deadlines, letters of notification, and on and on and on. I can’t stress the on and on part. It really does go on and on. I applied for Canadian citizenship for my daughters. Actually, I applied for the right to apply for citizenship. Yes, it is true that one must apply to apply and it is actually called the Application for an Application. The Application for an Application to become a Canadian citizen isn’t short either. It required multiple documents and a lengthy form. You can imagine our excitement when we received a letter stating that our “Application for Application” had been received and that we would receive a verdict in three to six months. Thank goodness I did this in July because it wasn’t until January that we received a letter stating that our “Application for Application” had been approved and that we are free to apply. But don’t misunderstand me. I am truly happy that there were no problems obtaining the right to apply because if there were any problems I would have great difficulty contacting anyone from the Canadian Immigration Department to ask them a question. The only way to contact them is through an 800 number printed on all their documents. One problem, it doesn’t work unless you are calling from Canada. That’s right, the number for the Canadian Immigration Department does not work unless you are calling from inside Canada. But I am happy to report that last week the Consulate General of Canada sent us a letter stating that out “Application for Permanent Residence has been found to meet minimum requirement for completeness.” Ahh...music to my ears. I would like to introduce you to our future community of Waterloo. It is a nice place. Waterloo is one of those communities where there are a lot of new areas and the old areas are being renewed. It has about 100,000 residents not including about 20,000 students that attend the University of Waterloo and Wilfrid Laurier University. It is most famous for being the home of a company called Research In Motion (RIM). They make the Blackberry. As difficult as it will be to leave a place I have called home since birth I feel very lucky to be going to such a nice and oddly familiar place. It seems familiar because the Waterloo area is very much like Northeast Ohio. It has rolling hills with hardwood trees and farmers fields. It has strip malls, suburbs and downtown areas. I make this point because more than one person has told me I better pack a lot of warm clothes as if I were going to Grise Fiord (the most northern town in Canada). The truth is the Waterloo area often receives less snowfall than Cleveland. It is also lower than most of Michigan. If it were not for Lake Erie it would be less than three hours away from Medina, OH. But there are differences. Imagine if all of the McDonalds in your town were taken away and replaced with Tim Hortons. If you are a sports fan you would not talk about the Indians, Browns, or Buckeyes. Instead you would talk about hockey...regardless of whether the season was in session or not. Finally, your money has rainbow colors. Obviously there are many more differences but I am claiming ignorance for now. As I learn more about the Canadian experience from my American perspective I will share it with you. If you have a specific question I will research it for you.